The KITPF3000FRDMEVM Evaluation Board (EVB) is an easy-to-use circuit board allowing the user to exercise all the functions of the PF3000 or PF3001 Power Management IC’s (PMIC). The EVB integrates the popular KL25Z Freedom Board. 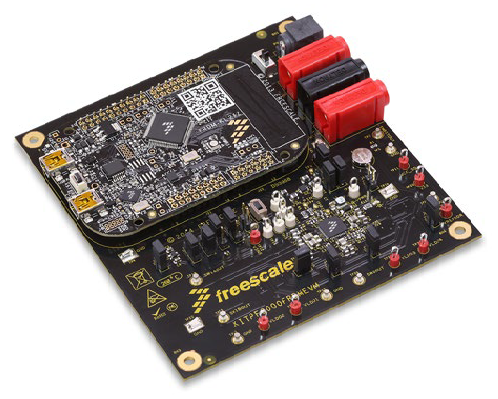 The Freedom Board is used as an interface between the GUI and the PF3000. Analog-to-Digital Converters (ADCs) in the KL25Z Freedom Board are used to monitor the regulator voltages through the GUI.